We are hard at work on a special publication, Fresh Currents, which investigates the disastrous results of Japan’s nuclear energy program, and the real potential for shifting to fully renewable energy sources. We seek to contribute positively to the debate on how not only Japan, but also the rest of the world can most effectively move towards a sustainable future. Further information and our campaign video are at Indiegogo. Here in Japan, with the recent release of an independent government report on the Fukushima disaster slamming “willful negligence,” “collusion,” “regulatory capture,” and “ignorance and arrogance unforgivable for anyone or any organization that deals with nuclear power,” and huge, increasingly vocal public demonstrations against the restart of Japan’s nuclear program, we feel that this is indeed the time for objective evaluation and discussion of paths to safe, sustainable use of renewable energy sources. Fresh Currents will be released at the end of July, to contribute to this present debate on the vital question of Japan and the world’s future energy strategies. 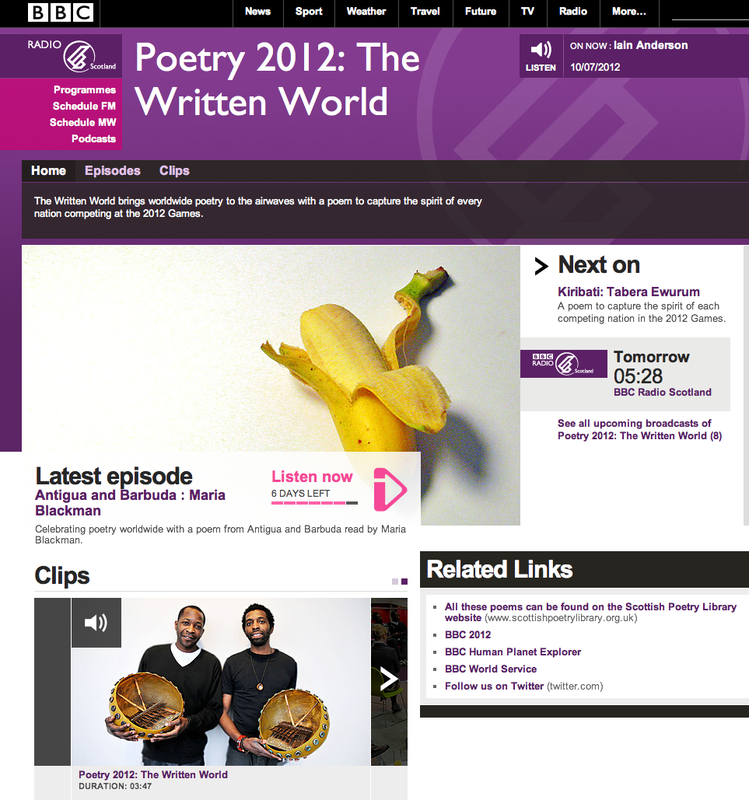 The Written World is being funded by Creative Scotland in collaboration with the BBC. It is educational in the widest sense and its online resources will ensure that we leave a legacy of truly global scope. This vast and ambitious project is an opportunity to bring poetry from many nations into the lives of people who might not ordinarily be interested in it, giving them a reason to enjoy and explore a great art form. We granted use of the verse for this purpose and wish TWW much success.